I have been spending a lot of my free time editing and blogging because well..
it is that time of the year! Right now in fact, I am sitting on my laptop watching When Calls The Heart while blogging lots and lots of sessions! I love that my girls love this show as much as I do and that keep me company on the couch while binging our favorite hallmark show! 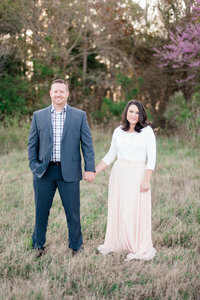 This session right here is extra special because it is this sweet couples pregnancy announcement! So I am just going to brag on this girl for just a moment. I remember when I first met her. It was actually at a wedding. She was doing the hair for our bride Jaime and even then her grace and kindness left a mark on me. A couple of years later our paths have crossed and her family has played a beautiful role in our lives. I love being around this girl. When I say she has such a gracefulness about her, I really mean it. She is so kind and genuine and the both of them are going to be pretty awesome parents. When Brianna asked if we could do some photos for their pregnancy announcement I was stoked! This couple is not only good looking but incredibly sweet together. I was able to drive up one morning with my Brianna to Williamsburg and we spent some time photographing them in their new home where in just a few months will bring their little one home to. Naturals in front of the camera. I think I may have adjusted them once. I want to say that they know how to model, but honestly, I think it is so much more genuine than that. They just snuggle up and revel in each other’s presence. This by far was the easiest session I have ever done and one of my favorites. I love lifestyle photos that showcase a more candid relaxed style. I told Brianna if I could fill my days more up with these kinds of sessions I would be heaven! This is just the beginning and I cannot wait to watch this journey unfold for them. What an honor to be able to share in this chapter and I cannot wait to get them in front of my camera again! Next time with a baby bump! Sharing a few of my favorites! Want to see more of posts like these? Visit the links below!